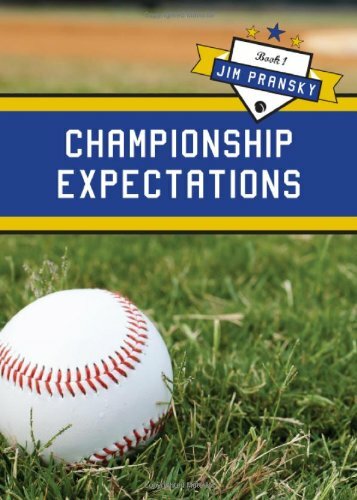 Author Jim Pransky has used his over two decades of experience working as a professional baseball scout in his fictional and biographical books. He has worked with Tate publishing to release his two biographies about less well- recognized players as well as three novels. 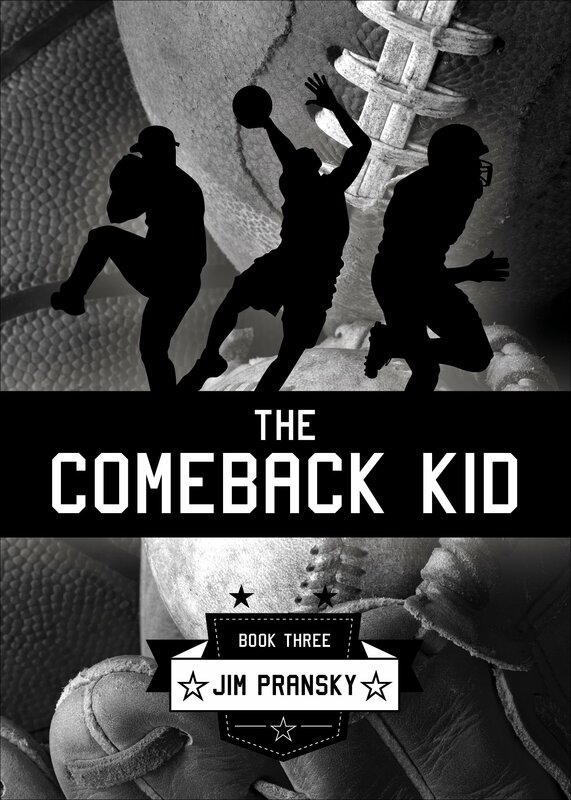 Jim describes his novels as being “like the Hardy Boys or Nancy Drew books just sports oriented” placing characters in northwestern Pennsylvania where he grew up, incorporating some of the situations he’s faced. Jim describes his major challenges in marketing his books as being a lack of connection to the Quad Cities area. He is not from the area and is traveling much of the year in his job, from spring training through the World Series, making it a challenge to schedule personal appearances. His publishing company has helped by sending press releases and requiring him to think about marketing before publishing his books. He takes advantage of his hometown and the hometowns of his biographical subjects by sending books to be sold in those areas. Jim hasn’t found a one-size-fits-all marketing solution; he tried different approaches for his books. He said, “I have to admit I love to write, but I’ve never been a salesperson. I think I have learned a lot about the process through marketing my five books, but I have not found a sole method that works every time.” He’s found the most success by selling books on consignment in Pennsylvania, especially for his first three books, using his connections from home to get the books into barber shops, pharmacies, and grocery stores. He’s also been able to get his books sold in minor league souvenir stores and stimulated direct sales by reducing prices. Though he uses Facebook and Linked in, Jim hasn’t found them especially helpful; due to budget constraints, he hasn’t used any paid advertising, though he is considering hiring someone to help him. Finding the time to market a book along with supporting yourself and writing is a challenge most authors face. 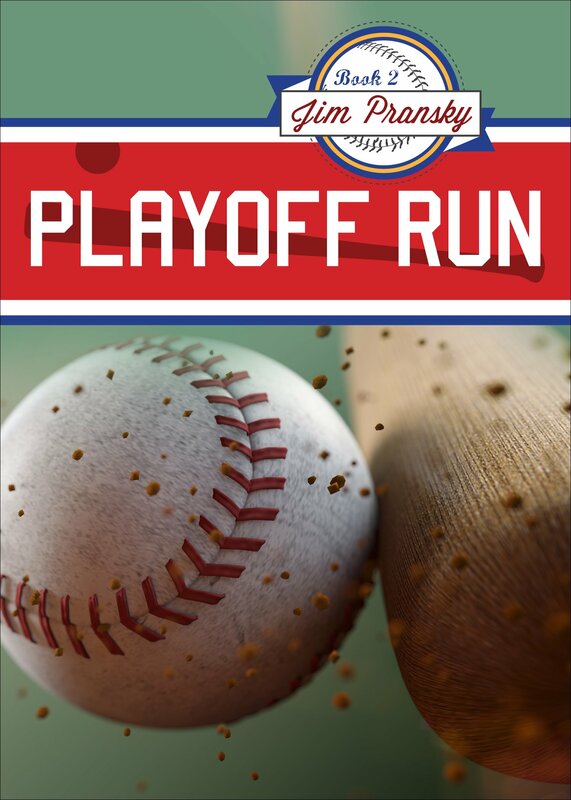 “I think it’s an absolute to be imaginative and creative in your marketing plans just like it is with your writing.” Jim is committed to continuing different ideas to get his books into readers’ hands. He said, “I wish I had THE answer, but I found you just have to ‘dance with who brung you.’” That’s great advice; the only place you can begin with anything, including book marketing, is where you are. 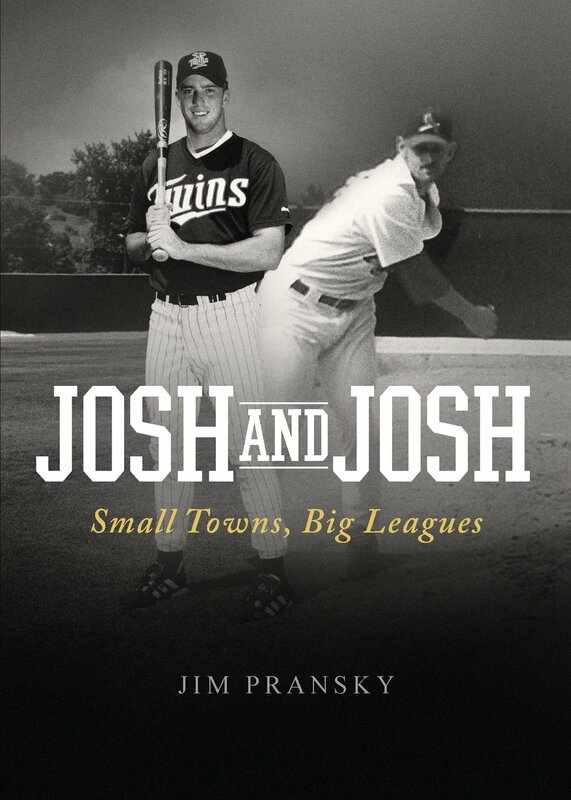 Click here to learn more about Jim Pransky on his website. 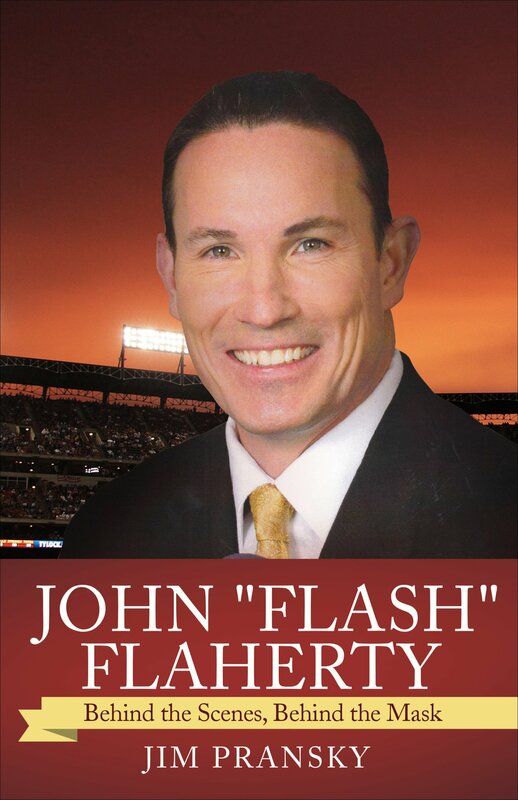 His books, Champion Expectations, Playoff Run, Josh and Josh: Small Towns, Big Leagues, The Comeback Kid, and John “Flash” Flaherty: Behind the Mask, Behind the Scenes are available on Amazon.com and other online retailers. This book, especially the chapter about connecting with your freaks, reminded me of a conversation I had once with my author-friend, Joanne. She talked about how wonderful it is when you “find your people,” those you feel at home with and who understand you. For me, those people are writers, and it took me a long time to find them. Over the years, my family and other friends have been great – always supportive – but I still have this sense that they really don’t “get me” or they still think I’m a little bit strange. Other writers understand my freakiness and I can carry on conversations with them like I can with nobody else. Chapter three talks about defining your success; you need to do this with your books. What will it take for you to be considered a “successful” author in your own mind? Make a best-seller list? Get picked up by a traditional publisher if you’re self-published? Sell a million copies? Sell a hundred copies? Get featured on the news? Or have someone tell you how your book positively impacted his life? Book success comes in many different forms; decide what that looks like to you. Similarly, chapter six addresses goal setting. For books, you need to decide how many you want to sell and in what time frame and then figure out what you need to do today and who you need to connect with to make that happen. In most businesses – or even almost every business – you have to match your offerings to what the market wants. This is true for books to a certain extent. I don’t necessarily advocate for writing for today’s book market because it takes time to write a quality book. By the time you’ve finished, the market might be onto the next big thing. Instead, I think it’s better to write your story and then find the market for it. Even though you are a wonderful freak, chances are there are at least some other somebodies like you out there. It may not be enough somebodies to get rich, but keep trying and tweaking your work until you find a large enough market. If you’re lucky, what you write will be timed perfectly with what the market wants – and that’s when big things will happen. The key is to know the characteristics of that market, defined right down to the underwear color of that one ideal reader. I like to spin Brogan’s mortgage math test to that of a book test. 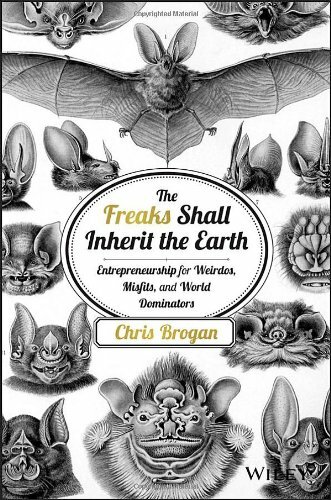 In The Freaks Shall Inherit the Earth, Brogan advises calculating the amount you need to cover your mortgage and other expenses, and then planning your work, time, and expenses around that number. You can use a similar concept for marketing books. For example, if you have to pay $2.75 every time someone clicks on one of your social media ads, but your royalties are only $2.10 per book (70% of a $2.99 Kindle version), assuming if everyone who clicks the ad buys the book (which they won’t), you still lose $0.65 with every click. I only use this for deciding on paid advertising, though, and not things that only use my time. It’s so hard to measure return on investment and put a definite dollar amount on the exposure you get from participating in social media conversations or attending personal appearances. If you ever have any doubts about your book life (and who hasn’t), The Freaks Shall Inherit the Earth is worth the read. It goes quick and offers helpful advice and encouragement. Once you read it, you will be ready to take on the world and proudly fly your freak flag. Welcome to the inaugural Author Spotlight blog post, focusing on how authors do book marketing. I’m proud to present author Joan Mauch who I met in a novel workshop series prior to publication of her first book, Halifax (2013, Whiskey Creek Press). I remember Joan was in the middle of a complete re-write of her book, but I could tell it would be good. Joan Mauch’s background ranges from teaching and working for nonprofit organizations advocating for the poor to a career in marketing and public relations. She lives in Davenport, Iowa; she has a bachelor’s degree in chemistry and a master’s in urban studies. This is an important lesson: though we are artists, authors still need to keep the bottom line in mind. If the finances don’t make sense or the potential intangible benefits (exposure, for example) aren’t great enough, reconsider what you’re contemplating. For example, I recently considered running a Twitter ad to promote one of my books, but the cost to get it to appear in a person’s feed was $2.75 – I make less profit than that for each sale of that particular book. She’s also faced some surprises: “What surprised me was the amount of time it takes. Also the realization that over three hundred thousand books are published every year. I thought it would be easy to attract readers, but considering the huge number of books for sale, gaining a readership outside one’s personal circle is difficult.” This is so true; it’s so easy for first-time authors to naively adopt the “publish it and they will come” mindset. Joan has found that what currently works best is promoting her books through personal appearances and direct mailing her contacts (and likely working to increase the volume of those contacts). She says it’s worked marginally well for her so far and she’s hopeful she will gain traction over time. Marketing books is definitely a marathon and not a sprint. A strategy working for her most recent book, The Waterkeeper’s Daughter (2014, Whiskey Creek Press), is holding a joint presentation with the Quad-City Waterkeeper, Art Norris, at the Bettendorf Library’s Read Local series. This partnership has helped Joan spread the word in several ways, including an article in February’s Radish magazine, the library produced and distributed brochures and fliers, and inclusion in the city of Bettendorf’s email news briefs. And none of it has cost Joan a penny. Joan says, “Connecting the novel with a local issue or personality makes it easier to get publicity because it will be promoted along with a topic of local interest and the event or news story won’t simply be an obvious effort to sell a novel.” She’s also had good luck with book signings at the local The Book Rack locations and Midwest Writing Center’s signing at Southpark Mall in Moline, Illinois. Of course, some things haven’t worked so well. Getting listed on various book listing websites hasn’t been beneficial. “While that sounds like the perfect place to promote a book, I haven’t seen much by way of results – although I have received several editorial reviews, which is helpful.” Joan has listed her book on Readers’ Favorite, Manicreaders, Shelfari, Authors database, Book Pleasures, and Night Owl Reviews. Joan has invested in some paid advertising. “I signed up for ‘Author Shout’ which promotes books on Twitter. I’ve seen it promoted and had some retweets as a result. I can’t say whether or not sales resulted, although it did get my book title and name out there.” She also gave away three copies of her first novel on Goodreads and over 700 people entered, but none of the winners reviewed the books (a courtesy, not an obligation, suggested to winners). This evidences the volatility in book marketing – what works for one author or even one book might not work for another. I’ve given away book copies through Goodreads and though not all the winners gave me a review, some did. We all have personal (sometimes personality-based) weaknesses when it comes to marketing books. Joan says, “Using social media isn’t really my strong suit. I realize I need to work harder at participating. I have a website and blog which I use to promote my novels. When I blog, it is automatically published on my Facebook author page, Twitter, Amazon, and Goodreads, so that’s a lot of exposure with not a whole lot of effort. I also participate in Pinterest and LinkedIn but again, not to the extent that I should.” She relates that using her website’s blog works best, though it hasn’t reached the volume she’d prefer just yet. Halifax (January 2013, Whiskey Creek Press). Forty-year-old Eleanor Hurley is leading a life of quiet desperation when a single moment of violence changes everything. She kills a homicidal man to save a group of children. 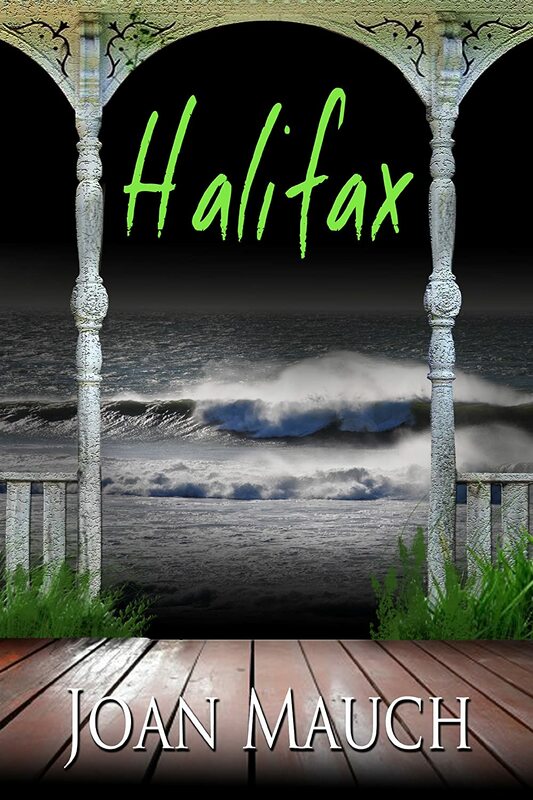 Rather than being repulsed, she is exhilarated and fearing she may be turning into a serial killer, flees to Halifax, but cannot escape herself or the trouble that lies ahead. 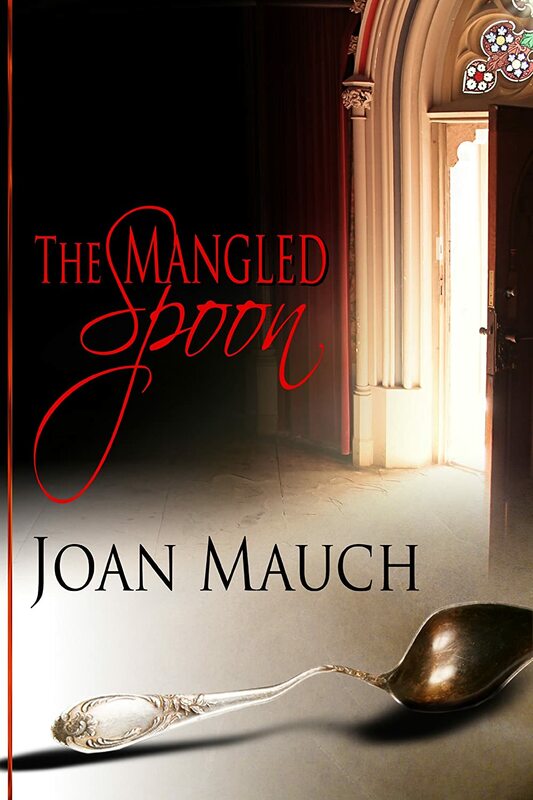 The Mangled Spoon (May 2014, Whiskey Creek Press). Psychiatrist Marcus Rukeyser’s newest patient is catatonic. Discovered foraging for food clutching a damaged antique spoon, he learns she’s connected to three dead or missing nuns from a prominent Chicago parish. With only two weeks until she’s committed to a state mental institution, authorities make it clear they’ll go to any length to prevent him from uncovering the ugly truth—including destroying his career, his home—and potentially his life. 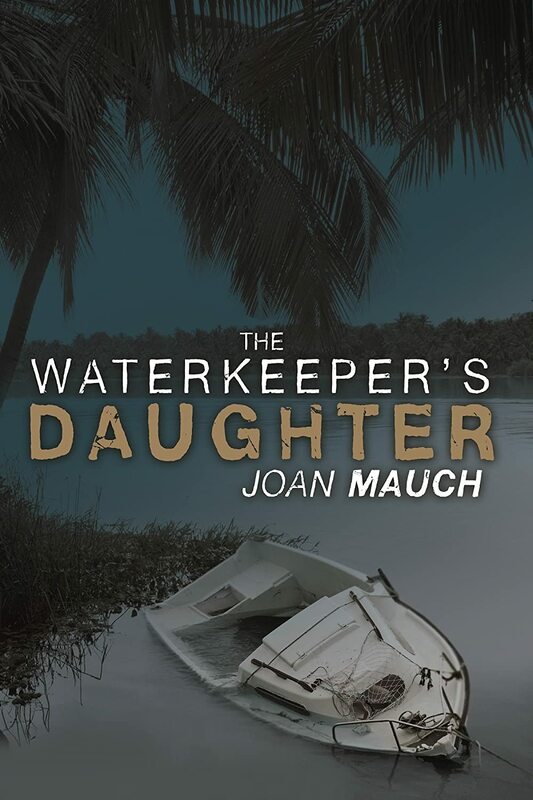 The Waterkeeper’s Daughter(November 2014, Whiskey Creek Press). Twenty-one year old Annie Whitaker arrives home from college to devastating news—her beloved father, Lake Okeechobee’s waterkeeper is dead. Meanwhile, a very angry man is bent on revenge for the damage done to his family by her estranged grandfather. Very soon the word “regret” will have a whole new meaning for the Whitakers—but by then it will be too late. You can find Joan’s books on Amazon.com (click the titles above) and other online retailers. Visit her website at www.joanmauch.com. Click here to connect with her on Facebook. Being famous. People waiting in line for hours to buy your book and get your loopy signature on its title page. Readers scrambling to get your next copy. Volumes of pre-orders. Admit it, as an author, deep down, that’s your ultimate dream, isn’t it? Don’t tell me you’ve not been the least bit envious of J.K. Rowling or Stephen King? (My hand is sheepishly raised.) Don’t get me wrong – I’m happy for all those book-star successes, but there is that teeny, tiny bit of bitterness. Think Like a Rock Star by Mack Collier is a general marketing book with the subtitle, How to Create Social Media and Marketing Strategies that Turn Customers Into Fans. (I bought it at Brand Driven Digital’s 2014 Social Brand Forum.) The book studies rock stars and provides helpful advice about cultivating fan relationships with any brand. As an author deep in book marketing, your brand is more similar to a rock star’s than many products. The book is good; not preachy. It presents case studies to illustrate real-world points. It also includes a backstage pass in each chapter with action items for putting the ideas into immediate practice. The main takeaway is to listen to your customers. In your case, listen to your readers. Listen to what they engage with the most, what excites them, and give them more of that. If they rave about the way you describe your characters, repeat it in your next book. Don’t try to make your book appeal to all readers – the only people you need to please are your fans. Fans attract more fans. One specific idea for cultivating fans includes giving them an identity. For example, Fiskars® calls their website/forum members Fiskateers®. One of my author-friends has a series of books called the Greyhound Lady Walking series; she could call her fans the Greyhound Walkers (if she wanted to). Take care of your fans. If someone takes the time to praise your book on social media, respond and thank them. Make your fans feel special. Give them backstage or insider information that only those who follow you on social media get to see. Do something special for them like hold a contest related to your book, perhaps a video, essay, poem, or writing prompt contest. Let some of your trusted fans be beta readers. They already know and like your work so they can tell you exactly what works and doesn’t for your target audience; plus being a part of the product might make them want to tell their friends and family about their work, increasing readership. Most of the advice in Think Like a Rock Star apply perfectly to book marketing, except for one. For brands other than books, responding (and empathizing with) negative comments is important. If you liken a negative comment to a negative review about your book, I believe it’s important to not respond. It’s especially important to not defend your book. If someone mentions a typo, respond, say thank you, and that it will be corrected in future editions. If someone has a problem with receiving an order or a book arrives badly printed, of course, respond and make it right, sending them a copy from your inventory if you need to, even if they ordered from a third-party vendor. However, if someone simply says they didn’t like your book or criticizes your writing, do not respond. Everyone is entitled to their opinion and the fact is, not everyone is going to like your book or writing. What if it’s a troll, you ask? Yes, you occasionally see a reviewer who simply likes to give scathing reviews for fun. It’s mean. But your true fans are not going to care. And most readers are intelligent enough to determine when someone is just being mean-spirited and when someone is giving a thoughtful review. If a reader is going to believe such crap and avoid your book because of it, is that the type of reader you want anyway? If someone’s really out to get you and posts numerous such reviews, you need more help than I can provide in this post (and I’m going to assume that’s not going to happen). If you’re really lucky, your true fans will respond to the review for you, singing your praises. Most likely, though, you will have several positive reviews which will negate the bad review. Plus, people get suspicious if a book has 100% 5-star reviews, so it might actually make your overall rating more credible. This is just a small sampling of general marketing principles you can apply to your book in Think Like a Rock Star. If you enjoy marketing in general, need to learn about using social media, or if book marketing is one of the things you like most about being an author, this would be a good read. I’d love to hear your thoughts. What would it be like if you were a book-star? If you are a book-star, tell me how you made it happen (please)! Do you have additional ideas for cultivating fans? Just pop in a comment below.